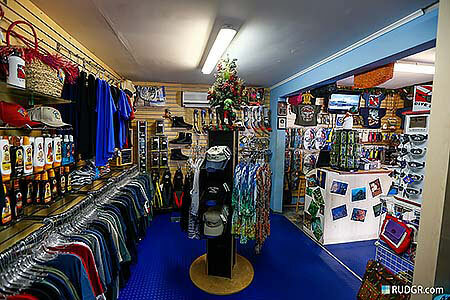 Go West Diving has a fully stocked shop with everything you might be looking for or might have forgotten to pack including Hats, T-Shirts, Board Shorts, Bathing Suits, Bikini’s, & Sunscreen just to mention a few!! And… If we do not have it in stock, then generally we can order it for you within a few days!! At our rental counter we have up to date Cressi-Sub rental equipment and plenty of tanks that are regularly serviced so they are ready and set to dive when you are! !